echoed the voice of millions of Indians who often complain about potholes in newly laid-out roads. First let’s see what all she said when she got angry. Within two days, road construction with new tiles should begin here. Otherwise, you will be blacklisted. 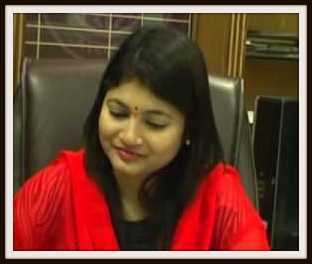 Chandrakala is 35-year-old IAS officer. She originally hails from Andhra Pradesh. Her mother tongue is Lambadi, according to DoPT records. In fact, most Banjara or Lambadi people of India live in Andhra Pradesh and Telangana. About 2.2 million people like Chandrakala speak their own dialect along with Telugu. A post graduate in economics, Chandrakala was till recently the DM of Mathura where from she was transferred out, reportedly without assigning any reason. Although her motives were right but the conduct certainly wasn't. Shouting in public is not a proper way of providing feedback or reviewing work. By calling subordinates to shut up she also deprived the fellows a chance to explain. PS- Views are based on limited knowledge of the matter. You were not at her place. You dont know the history of that matter, she must be knowing her subordinates well and one only shouts when the limits of inefficiency are crossed. So by sitting here we dont have right to accuse her about her behaviour. Hey guys. Do u don't khow an honest officer never show off her honesty . It is a good example by a bureaucrat to thrash the officials in public for corruption. Surprisingly she accumulated four properties in short span source (IPR-2013 minimum information). Maximum time she spent on buying properties. Her aggression expresses other story. Bureaucrat's honesty is required evidently in the country. I don't see any logic in bringing in her caste, clan and regional details in this write up. What do you try to suggest by those facts? (one viewer has already expressed that most of the tribal officers are honest, brave, etc.) Try to understand that these are not unique to any specific group of people and avoid giving caste and regional colour to everything (including honesty, bravery, hardwork, etc). It is in the same proportion among others too! Shut up fools,admire her sincerely,dont u think she did the right thing with the people who have lost morality .It is braveness of high quality to clean this country out of negative spirit.Just like Durga shakti.Well done. Shutup and allow her to work!! she is absolutely correct.This country very much needs such honest officers.Corruption day by day is increasing . Very much brave lady ,,, we need like this leader in our country,, salute you madam. 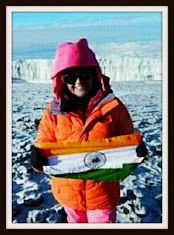 We want every IAS to be like her. ghoosekori ki bhi had hoti hai......good she shouted as that only helps, as i have seen in my service even thirty years ago. She is a role model and solution for the treatment for corruption like problems. Everyonne has freedom of speech but who comments against her or trying to defame her is a person against honesty, against wellfare and against the nation. I don't know why peoples in India are trying to teach a lesson to the honest persons who are willing to do their job for public. If somebody is not doing his duty for which he is getting payment and if somebody tries to show his faults, our public starts to criticizing it that they should not behave like this. She is shouting for us so that the work should be perfect and you peoples are criticizing her. Shame on you. We want these types of officers who can bravely show the culprits their faults. And if this type of nature will come in all the officers then only our country will develop. We should appreciate the effort of these officers for publicly showing the faults of culprits. I watched her videos . She is undoubtedly sincere, honest and hard working IAS officer. He deserves to be applauded a lot by all Indians. then only upright officers will come forward to serve the country well. When there is a huge flaws in the work and subordinates usually collides them, publicly treating them is the only and best option to eradicate corruption, all sorts of ill in this country. Salute Her.